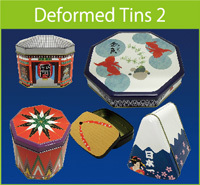 Tins below are sample images of the shape. 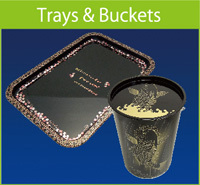 All productions are by order, and abundant metal molds (Approx. 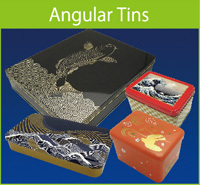 700 types) are available besides Tins below. Click here for more details on the size. Basic round tins. 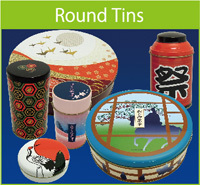 Plenty sizes from flat to tubular tins are available. 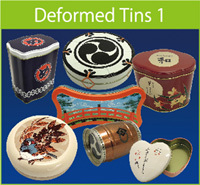 *Height can be adjustable Bespoke plain tins. Suitable for small quantity order. 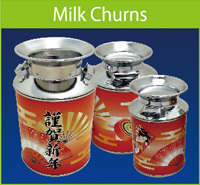 *With or without hinged lid A method of bend-forming manufacture has been receiving good reviews. 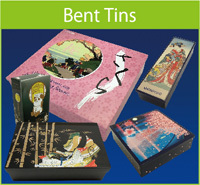 Abundant sizes mainly of hinged tins are available such as Mint Tin and Pencil Case. 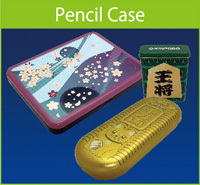 ※Various types are available besides above images such as badges, trays, cigarettes case, sliding case, or card case. ･Toe of bead: holds the lid, and enhances the strength of the body. 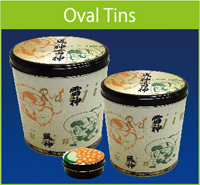 ･Stack: a lid with roughness prevents from slipping when piling up Tins.